Rudestam and Schoenholtz-Read, eds. (2010). 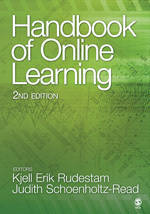 Handbook of Online Learning, 2nd ed. Sage Publishing. The Handbook of Online Learning edited by Rudestam and Schoenholtz-Read is a very comprehensive reference text for researchers and possibly some administrators of online courses and programs. The first few chapters provide a solid theoretical foundation on online learning, clarifying conceptual principles that underlie effective online learning. Some topics in the first half of this Handbook include The Flourishing of Adult Online Education, Changing Philosophies and Theories of Online Learning, Globalization in Online Learning, etc. Contributors of these chapters provide thorough discussions and analyses on a number of topics. A thorough understanding of the evolution of online learning supports instructors and educational developers in constructing an effective online learning environment. As an educational designer and an instructor of a blended course, Chapters 15 and 16 grabbed my attention. 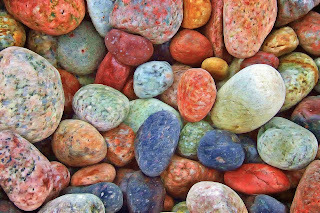 The contributors, Rena Palloff and Keith Pratt, of Chapter 15, Beyond the Looking Glass, make it clear that not every faculty member is ready to move beyond traditional models of teaching to adopt new online teaching practices. Sufficient training and mentoring is essential in making the transition to the online classroom successful. Likewise, students are unaware of the differences between traditional and online learning. Furthermore, their expectations, such as flexibility and peer-collaboration, of online learning may not match the realities. Palloff and Pratt provide a list of strategies to support faculty training and student orientations. In Chapter 16, Teaching Professionals to Be Effective Online Facilitators and Instructors, the contributor, Leni Wildflower, offers a long list of practical tips from choosing the right software tool, designing participatory online courses, facilitating engaging discussion, maintaining presence and motivation, to providing supportive and constructive feedback. This chapter offers many practical strategies and points of consideration that will benefit both new and experienced online instructors. While the editor comments that the most valuable lesson learned is that students learn best when they can be collaborators and peer-instructors in their learning environment, few collaborative tools are introduced in this Handbook. For instance, there is only a paragraph each introducing Open Educational Resources and Wiki Educator. I am also disappointed to notice that Moodle was only briefly discussed as a free open source software content management; Facebook was mentioned seven times and Twitter was not even listed in the index. Surely, smartphones and massive open online courses were nonexistence at the time this book was published. Perhaps I should not expect to find information on the latest technologies in a reference text. Due to its comprehensive theoretical background on online learning, I also found calling this text a ‘handbook’ misleading. This book offers way more information and in greater depth than what most instructors expects to find in a handbook. Instructors and educational developers looking for a concise handbook on online learning should consider The Excellent Online instructor: Strategies for professional development by Rena Palloff and Keith Pratt (contributors of Chapter 15). Good to know some information about this kind of online education. It is really nice and helpful for those people who wanted to know more about online education and what benefits they could get from it. Anyone Looking for Online Training? Click Here to send a request. You can attend a demo class for free. The fantastic digital education based learning entry! This is the most essential advanced significant post! I mean you create the post with high quality idea which present this easier. This top entry is actually the great as well. The high fact feature is gone after sincerely and now is granted that your posting is effectual and momentous. Thanks for the attribute. Awaiting for resent post ..